A young girl is possessed by the devil. 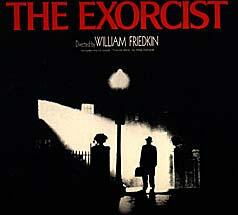 Director William Friedkin's "The Exorcist" is a shocking, well-made horror film. Friedkin received a nomination for best directing. The cast includes: Ellen Burstyn, Max von Sydow, Linda Blair, Jason Miller, Lee J. Cobb, Kitty Winn, and Jack MacGowran.